2019 wasted no time before it dropped us off in the deep end of the cosmic transformation pool. Kicking off with a Saturn/Sun conjunction, an immediate entrance into Eclipse season, and Uranus stationing direct with a square to the nodes of fate, January has been a robust initiation into the most profound sense of grit and resilience. With the 2019 Aries Waxing Moon punctuating the halfway mark between the most recent Solar Eclipse, and the upcoming Total Lunar Blood Super Moon Eclipse, the last in its series in Leo, this Waxing Moon is a check-in point that provides a vital moment to put your feet on the earth and ground down. In Mars-ruled Aries, conjoined with Uranus, it might feel a wee-bit volatile, possibly even angry. Because of this, nurturing your passion remains a non-negotiable. This Waxing Quarter Moon harkens back to the 2018 Aries New Moon. Think back to April 15, 2018—what intentions did you set then? This opening square to the Sun should bring growth and stimulation to goals set then. What did you set in motion then that relates to what’s beginning to sprout in your life now? Tend to the crops that are starting to fruit. They need to be your most important focus. At the time of this Waxing Moon, Saturn, Mercury, Pluto, and the Sun form a dense stellium in Capricorn. Thankfully, Neptune in Pisces sends a soft beam of support to this otherwise, rigid, and robust configuration that’s commanding you to drop the façade, get real, and work hard (possibly harder than you ever have in your whole life). On the more easeful side of good luck, Venus, the planet of love, meets up with Jupiter, the planet of growth and expansion. Yet despite these aspects that take the edge off, this Waxing Moon’s connection to Uranus and to the nodes of fate, is reminiscent of one of the most difficult astrological energies we’ve experienced over the past decade: the Uranus-Pluto Square. This aspect took place from 2013-2015 and triggered massive political change. With Uranus remaining in Aries for only six more weeks, this Waxing Moon is one of the last throwbacks to this challenging configuration. Lean into the challenge. The Sun in Capricorn, only 7 degrees away from Aquarius, commands respect. With the Sun creeping closer and closer to the South Node, which brings past actions and their subsequent karmas front and center in your life, now’s not the time to take your eye off of your goals. Instead, keep a steady focus on what you most want, need, must do, this lifetime. This Aries Waxing Moon might feel super angsty, especially as it conjoins Uranus, but don’t let the angst push you in the wrong direction. Yes, you might need to surrender what you no longer need, or what isn’t working. However, don’t turn against yourself. Or your goals. With the Leo Total Lunar Eclipse just one week away, it’s not the time to hope for easy, but rather to trust that you have what it takes to rise to the occasion. Even with the Moon waxing, which generally connotes a time of gains, the cosmic broom also wants to sweep away that which you no longer need. While this Waxing Moon will shine a light on the positive seeds you planted with the 2018 Aries New Moon, overall this is a tough, hard-edged astrological moment. So if it feels challenging, let it. Don’t take it personally. Instead, dig in and commit to your truth. Grit, a combination of passion and perseverance, means staying ferociously committed to your goals. Lead with tenacity. On January 5th, 2019 we are graced with a Capricorn New Moon. The Sun and Moon are joined by a line-up of Capricorn soldiers, Mercury, Saturn, and Pluto. All of these planets are activating the sign of hard work, responsibility, structure, utilization, and success. That means that now is the time to take things apart and look at the underlying structure. Do it so that you can achieve higher heights and better craftsmanship. Your perfect structure will put wind beneath your wings and help you become successful. An important factor of this symbol is that it describes copying the structure of an existing paper airplane. The process is less creative than just imagining a paper airplane from scratch. That’s important, because at this New Moon there might be a feeling of being limited. There might be a sense that you can’t create freely. That feeling of restriction may trigger feelings of pessimism and limitation. Just maintain awareness of these emotional tendencies. If you notice them, remember that they are temporary. It is a practical and serious time that is perfect for making solid plans. These plans will help you upgrade, so that you can achieve your highest purpose. With the Moon making a harmonious glance to Neptune, the planet of dreams, intuition and spirituality, look to your faith for emotional support. Sometimes an overflow of Capricorn energy can make you feel like you need to be scrappy and resourceful. It can make you feel that the weight of the world is on your shoulders. The little voice in your head may say, “You’re not doing enough! Work harder!” Instead of giving that voice full attention, use this Neptunian wave of magic and inter-dimensional insight to help you dream your way out of the effort. Ask your spirit guides for support. Interpret your dreams for guidance. Meditate. The paper airplane symbol shows that with practicality, the right materials, engineering skills, a plan, and a little hard work— you can take flight. You can cruise up above eye level and gain a little perspective. Put in the effort to understand the proper steps. Evaluate the materials and resources you have. Operate with caution and practicality at the forefront. With hard work and expert planning, you can create something that is greater than the sum of its parts. The appendix of a book. Go into the back of the book and read all the notes. There is more information that you need to know. You can’t skip any parts and you can’t skip any steps. Hidden away in the back of the book is an author’s note. It’s not meant to be read or found, but it must be included, either because of law or custom. It’s a note about fear. Fear is often hidden in the fine print, on the pages that nobody reads. But it’s an important driving force that leaves its emotional imprint everywhere. If you are thorough and you pay attention, you’ll find that you notice when fear is raising its ugly head. When you notice how fear is having an impact, you can face your fears and they will dissolve. Then it will be easier to be successful. Look for hidden fear everywhere, in every emotion or every resistance that you have. A child is caught up in a day-dream. Give yourself space to moon about and dream. There is a build-up of pressure at this New Moon and there is work to be done. But you won’t get there through logic alone. You can harness your intuition, your dreams, and your emotions for extra oomph. Feel into it. Feel into what you need to do and how you need to do it. Get yourself emotionally ready. Through this right-brained process, you’ll find that your work is more effective. Dig a deep hole near the root system of a tree. As you dig, you disturb the old growth. You disrupt the system. You will plant a seed in this hole. It’s not easy to plant new life among old growth. The established roots create barriers for the little seedling. This old root system may not seem like fertile ground. But life will find a way. Plant your seed and gemination will occur. A new way becomes incubated. New life develops next to old growth. At the Full Moon, the Capricorn Sun opposes the Cancer Moon. Cancer is the sign of nurturing new life. Capricorn is the sign of old established growth. These are the two parents of the zodiac. Cancer gives tenderness and love, and Capricorn gives discipline. This is your opportunity to balance nurturance and structure. A Full Moon creates pressure as two opposite signs create a push-pull. A tug of war. In this case the question of opposites is, how will you be kind and firm with yourself at the same time? Kind and firm, just like a good parent. This weekend, you may find opportunities to re-parent yourself. The image of the seed planted among the roots of the tree describes the new emotional pattern that you can nurture within yourself. You’re not starting fresh. You’ve got old habits, patterns, and conditioning to contend with. But you can re-parent yourself and nurture a new habit reaction. At this Full Moon, there’s pressure. It’s coming in from all directions. Instead of avoiding it, sit with it. Sit with the emotional aspect of the pressure you’re under. For example, if you are feeling the pressure of “not enough time,” what’s the emotional story that goes with that? If you’re feeling pressure of “doing a good job,” how does that actually feel? Like shame? Fear? The pressure of “I’m not good enough” has a feeling quality. What is it? Even celebration has its own kind of pressure. Sometimes we have a feeling that the event or party has to be really good, and the stakes are high. What’s the emotion around that? The first step to re-parenting is to sit with any feelings instead of avoiding them. Befriend those feelings. Notice where they reside in your body. Take a few deep breaths. Relax into the feelings. Don’t run away. Allow yourself to visualize these emotions as a form of energy that floats just outside of yourself. Now see this energy form as yourself as a child. What age are they? What do they need? Talk to this version of your inner-child with a compassionate and firm voice. Give them the support that they need. Give them the love that they need. Explore how you can begin to take care of the child-like part of yourself better on a daily basis. How can you nurture yourself more? This is your big work at the Cancer Full Moon. Steady yourself by loving yourself more. Find new pathways to connect with and nurture your inner child. This process will help you find the alignment that you crave in the New Year. It will help you strengthen your root system and develop new growth within yourself. It’s time to shake it off. Transmute the disturbances to your energetic field. Release and heal. This is a moment to start fresh, like a newborn. You have been growing and developing. Time continues and we age. But we can continuously go back to the beginning and start fresh. Through deep love and compassion for self we upgrade and innovate the old patterns. This is a time for an electrical re-start. Use the below “I feel” statements to get deeper into how the 2018 Cancer Full Moon is speaking to you. For the most accurate reading, look to the House that holds 0 degrees Cancer in your chart. Don’t have you chart? Calculate it for free HERE. With year-end madness in full-effect, and the personal development world not only encouraging you to see into the future but to begin to sculpt your next year accordingly, the last two weeks of the year might feel like pressure. Bone-crushing pressure. Coming off of the bold and blunt Sagittarius New Moon’s cosmic invitation to claim your dream, the Universe now awaits your response. Where is your vision leading you, next? In an ideal world, the answer might feel obvious. But considering the Piscean influence, direction can feel obscure and hazy. Pisces, after all, a sign ruled by trance-inducing, otherworldly Neptune, who inspires subterranean explorations of the subconscious, doesn’t always deliver tangibility. What to do if you lack clarity on your future visions and goals? Embrace the unknown. Waxing Quarter Moons often connect us to intentions set nine months prior. Consider what’s coming to your life now based on intentions set with the Pisces New Moon on March 17, 2018. What’s percolating in your life now that connects to energy set in motion then? And in the current cycle, this half-way mark between the New Moon and Full Moon acts as a stepping stone, here to help you traverse the distance between where you are and where you want to be. As the assertive energies of the Sun clash with the yin-like qualities of the Moon, take this time to resolve any cognitive dissonance you may experience in your own life. Embracing this confrontation expedites the journey to clarity. Use this Pisces Waxing Moon to center yourself and tap into your intuition as you prepare for both the Solstice and the upcoming Cancer Full Moon, which will invite you to come home to yourself even more. Like Dorothy walking the Yellow Brick Road in her ruby red shoes, this Pisces Moon is guiding you on a path home. With so much retrograde activity behind us, this halfway moment between the New and Full Moons boasts serious magic. For starters, Mercury in Sagittarius prepares for its second alignment with Jupiter (the first of these conjunctions happened in late November, and the second will happen on the December 21st Solstice). The biggest planet in the solar system, who’s often referred to as Santa Claus, Jupiter has a tendency to deliver good news. With this meet-up between Jupiter and cosmic messenger Mercury in the expansive sign of Sagittarius, it’s the perfect moment to lean into the wave of positive momentum. Do you need to ask for something? Now’s the time. Further, with the Moon in Pisces, conjoined to Mars, Chiron, and Neptune, which makes a sweet angle to Venus, this Pisces “stellium” activates healing on a cellular level, inviting you to feel and heal what’s no longer needed. Lean into your desires, not your fears, as you seek to live your dream. To top this off, after a year riddled with heavy retrograde activity, only one planet remains retrograde: distant Uranus. The cosmos signals green lights for action. Use this time to assess what you’ve learned, and mindfully integrate the lessons obtained. On the challenging side of things, the Sun in Sagittarius and the Moon in Pisces (magnified by the dense planetary activity in Pisces) blurs the lines. Go-big-or-go-home-Sagittarius strongly dissuades boundaries. And spiritually inclined and sensitive Pisces can go so deep into the dream that it forgets reality altogether. With the luminaries traveling in these two mutable signs, feelings, impulses, and urges might override the truth. Stay on the lookout for lies, addiction, and deceit. Much like the Waxing Moon which appears as a half in the sky, but is indeed only at the quarter phase, this square asks you to decipher fact from illusion. Be aware of where you check out prematurely or run away as a coping mechanism. The high road here asks you to tap into the potential and power of your dreams, and the expansiveness of the moment, without losing a brass-tacks approach to rallying your life force energy on behalf of your desires. 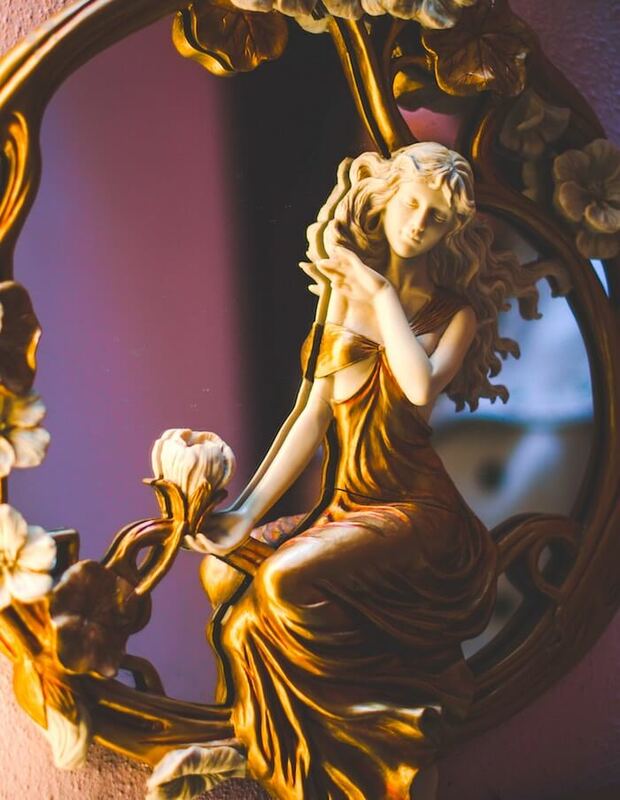 Let this Waxing Quarter Moon in Pisces illuminate the next steps you need to take to not just bring the Sagittarius New Moon’s intentions to fruition, but to consider how what’s unfolding in your life now relates to intentions set during the 2018 Pisces cycle. What did you set in motion with the March 17th New Moon that’s coming to fruition now? Claim it! It also invites sleep, healing sleep. This potent lunar moment invites you to genuinely enjoy the experience and engage out of bounds thinking — even lucid dreaming and astral travel (which is so Pisces). With one week before the Winter Solstice, the darkest moment of the year, take advantage of the seasonal cue to sleep. Treat it as a ritual, and open wide for prophetic dreams! An explosion of light as two worlds collide and a portal opens. A portal is opening and that’s important. But let’s begin by understanding this symbolic explosion of light. In TV shows and movies there’s usually a flash of light when a portal opens up. Insight! Illumination! You see more clearly. There’s more to reality than one singular dimension. On Friday, December 7th, there’s a New Moon in fiery Sagittarius. Sagittarius is the sign of truth-seeking. Bam! The centaur shoots a fire arrow to illuminate the target of truth. Yes, you are getting a flash of clarity. But it’s a little more complicated than that. This New Moon is a truth-seeking arrow that dissolves against the disappearing body of Mars and Neptune’s Cheshire cat. Just like the mischievous and confusing Cheshire Cat, your clarity won’t take the form of answer. It takes the form of a question instead. You need to delineate a question and it has something to do with your values. Once you find your question, you can treat it like an egg in a nest. Just sit on it. Tend to it. Keep it warm and away from predators. Treat the question with the honor and respect that it deserves. One thing that’s become clear during this year of many retrogrades: rushing forward because of emotional discomfort doesn’t get you anywhere. You can’t race through this process of sitting with the question. But that doesn’t mean that you can’t be passionate, purposeful and exuberant while you hunt down your answers. You can. Raise your energetic vibration purposefully so that when you encounter the answer to your treasured embryonic question, you’ll be a vibrational match for the answer. How do you change your vibration purposefully? Use your imagination. With Mars and Neptune square this Sagittarius New Moon, your imagination will take you to your target. Imagine a special control room in your mind that has a panel of dials. Visualize or notice a larger dial in the middle of the panel that says “Vibration.” Notice what level it is at now and ask your imagination if you need to turn up the dial. Then adjust it to the correct setting and remember you can always come back in the future and make more adjustments. The Sagittarius New Moon is an opportunity to align yourself with the big question you need to be asking. When you have the right questions, then you can begin the wild hunt for the answers. When you are driven to understand “why” or “how,” you can raise your vibration up into a new dimension. Sagittarius the explorer wants to find new worlds. Instead of being stuck in the pattern that already exists, you get above it to see the bigger picture. You can experience the “bam!” of illumination as you journey out of this world and into a mirror-image dimension. The other dimension through the portal is exactly the same as this dimension, except for one thing; while our world is currently fueled by scarcity mentality, which causes greed and oppression, the driving force there is optimism and abundance. A car covered in flowers. Imagine that you try to get into your car and it’s completely covered with loads of flowers! Not flower petals- entire flowers! It’s so much beauty and joy that the abundance almost becomes inconvenient. You would have to laugh and admire all the beauty while trying to clean off your car. So much goodness. But is it in the right place? It all depends on how you look at the situation. Remember your gratitude practice and you’ll be able to accept the unexpected gifts that come your way. This Cat has places to go and battles to disrupt. Along the way it creates quite the commotion. The world is confusing but we have try to go after what we want anyway. You have two choices with this aspect, Alice. Moon about in confusion and ask all the wrong people for advice. Or actively try to lift your vibration to experience your own unique sense of faith, purpose, and soul-level interconnectedness. Listen to the blue jay sing. A splash of inspiring color against gray sky. But the bird is on attack. Caw caw caw. It scolds and picks with aggressive intensity. Then it takes flight and the whole interaction is forgotten. On November 23rd, 2018, there’s a Full Moon in inquisitive, talkative Gemini. The Moon is opposite the Sun in truth-seeking Sagittarius. There’s a potential to verbalize with this Full Moon. That drive to communicate can come through in different ways. First of all, it’s fleeting (that’s something to be remembered in the midst of your next big conversation). What feels important is impermanent. Next, it’s vibrant. Fired up. A flash of interest, vitality, brightness. There is an urge to communicate with intensity. That can result in sharing opinions that you’re not even sure you believe. Gemini likes to talk and Sagittarius likes to know. When it comes to conversation, who is listening? Notice an urge to nitpick or criticize, like the bossy blue jay. Maintain an airy sense of lightness. You can fly away from the conversation. You can let it go. There are so many strands of information flying, so many truths to be determined with this expansive Full Moon. Be deliberate about the information you take in. Notice your environment. Who are you influenced by? Whose messages and opinions are seeping into your mental space? If you aren’t deliberate, you’ll will find that you scatter your energy against the wind. This could happen through internet binges, continuously scrolling through social media, or asking for advice. How much do you want to take in? The best results of this Full Moon energy come when you are driven by compassion. When in doubt, move through your world with an awareness that everything is interconnected. The Moon in Gemini increases your desire for input. The Sun in Sagittarius pushes your ego to KNOW and to have your truth defined. This is an opposition of energies that can be solved by the T-square to Mars in Pisces. Translation? Take all of this cerebral processing and balance it with your drive to feel emotionally connected. Bundles of flowers overwhelm the aisle. So much abundance, it’s hard to decide where it should all go. Of course that’s not a problem. Let yourself be lifted into a positive vibration by this radiant energy. You don’t have to maintain a limit on how much happiness you’ll allow. Notice if your joy is immediately followed by thoughts of worry and fear. If that happens, remind yourself that you really do get to be happy. Your joy won’t be counteracted. You won’t jinx yourself by talking about your good luck. And you aren’t taking up too much space. There’s always room for more flowers. Just keep going and going. There doesn’t need to be friction. There’s so much movement in general with this Full Moon making a challenging angle to action planet Mars, and a slew of planets in mutable signs. Take up the pace you need to take. Go for it. Make all of your adjustments. Just remember to keep your center of balance. You don’t want to spin out of control. Mars is in Pisces, so your actions need to be filtered through a vibration of love and compassion. That will help it all mean something. The conversation starters below are to help you get deeper into what the 2018 Gemini Full Moon means for you. Find a friend and talk it out. For the most accurate reading, look to which house holds 0 degrees Gemini in your chart and use the prompt for that house. New to your birth chart? Calculate your chart for free HERE. At the end of the steep hike there is a mountain clearing. An impressive vista stretches to the distant horizon. The wind blows through scraggly pines. But the prominent feature is a towering ant hill. It towers, but it also connects to a subterranean super colony. We’ve come so high up. We’ve worked and we’ve climbed. This has been arduous. But now the attention must shift from the effort of the hike to the burrowing movement of the ants below the surface. The ants run on pure instinct. Under the surface of the soil their repetitive roles are acted out. Day in and day out, they perform the same work, over and over. If you’ve been living in a rote, unexamined way, it’s time for that to come to an end. It’s time to look inward, to investigate our deepest patterns and habitual machinations. The 2018 Scorpio New Moon says, if you slow down and look within, you’ll dig down into a new way of understanding the patterns that are running in your subconscious mind. Begin to understand the inner mechanisms in a new way. Begin to understand the unspoken and unseen urges that are driving you and everyone else. Scorpio is the sign of investigation. But not with a dry, cursory kind of curiosity. This is a compelling urge to dig in and get into the root of what needs to be understood. Burrow deep down into your own feelings. Where do they come from? What belief is contributing to those feelings? How does that deep belief need to be reframed? This is a New Moon, so craft careful intentions around these new beliefs. Surrender doesn’t mean you end up being a door mat or dropping your important boundaries. It means pushing yourself out of your comfort zone when it’s appropriate. Questioning what you assume you need to stay safe. Opting out of fear in any way shape or form. Spiritual surrender is about trusting in the Universe. How can you release those old, ancient feelings that are eating you up inside? Cleansing through forgiveness can open you up to a higher vibration. Again, this is a place for judicious moderation. If there’s a situation where you are in any kind of danger, forgiveness may not be appropriate until you are removed to a place of mental, physical, emotional, and/or spiritual safety. With the 2018 Scorpio New Moon, there’s a strain of idealism, belief, and even hope. Remember that the anthill is set atop a mountain. Close to the heavens. You might have such a great view, such a grand perspective, that you feel as if you can reach a hand through the veil and contact the fresh clarity of intuitive connection. Inner knowing. The energy of this New Moon is about going up and going in. Going up toward faith, and in toward the truth of your emotional experience. Follow the path up the mountain toward the deepest faith in yourself and the Universe. Follow the narrow tunnel in to the emotional depths. The flowers in the wallpaper pattern start to sing and dance. Trippy. This is a psychedelic aspect. Allow yourself to see the colors. Allow yourself to space out and let your mind wander. Maybe you’ll have a creative expansion. Maybe you’ll connect with the good intuitive voices in your head. Maybe your heart will open. Your perception can turn upside down and inside out, so let it do that. Sometimes that’s what needs to happen for you to connect with an illuminated new way of doing things. Use the below journal questions to help you set intentions for the 2018 Scorpio New Moon. Look for the house containing 15 degrees Scorpio in your chart for the most accurate insights. Don’t know your chart? You can enter your birth details HERE to calculate it for free. Write an email to a person you have a grudge against, explaining how they make you feel. DO NOT SEND IT! List out all the qualities of your perfect partner (in romance or business) and choose to cultivate them in yourself. Write a ‘shopping list’ of all the elements that would make up your ideal workday. Write a super soppy love letter to the most playful, childlike part of yourself. Google the lyrics of your favorite emo song and put them on a stickie on your desktop. Note down all the ideas you feel most curious about, and add a line for how you can begin to investigate each. List 5-10 things that make you feel beautiful—on a physical, emotional, and spiritual level. Write a short manifesto for all you want to achieve in the coming year. Write a thank you note to your spirit guides, letting them know all the ways they have helped you. Describe where you want to be one year from now, and the team who helped you get there. List 5-10 experiences that have made you stronger and wiser. Write out the itinerary for a pilgrimage you’ve always wanted to go on, and what it would help you learn about yourself.